Here are some facts about Arundel Castle. Arundel Castle is near the town of Arundel, in West Sussex. It dates from the 11th century, although large parts of it were entirely rebuilt during the 18th and 19th centuries. William the Conqueror built the castle to protect the area from a French invasion and to guard the mouth of the River Arun. The first Earl of the castle was Roger de Montgomery. Several Kings have owned the castle over the centuries, including Henry I, Henry II and Richard I. The Dukes of Norfolk have lived in the castle for over 800 years. Arundel Castle was badly damaged during the English Civil War of 1642-45. Improvements were made in the 18th century, including building the folly overlooking Swanbourne Lake. The castle’s beautiful gardens have been open to visitors since 1854. They include a cut flower garden and an organic garden, which supplies the castle with fresh flowers and fruit. Cricket has been played in the castle grounds since 1895. Arundel Castle has events all year, including jousting shows, living history days and classic car shows. The 14th century Fitzalan Chapel is still the burial place of all the Dukes of Norfolk. The church and chapel are unusual, in that one is Protestant and one Catholic. 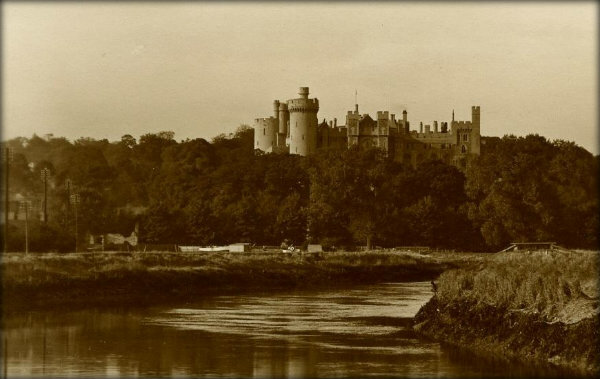 Queen Victoria and Prince Albert stayed in Arundel Castle for several days in 1846. Her specially made bedroom furniture can be seen today, as well as her toilet and her guest book. In 1900, the 15th Duke of Norfolk carried out more renovations. Arundel Castle was one of the first English country houses to have central heating, lifts and electric lighting. The nearby Arundel Museum is also a good place to explore the area’s history. The exhibits include Roman remains, horse racing memorabilia, 18th century clocks and a wooden rudder from a river barge. What next? Discover some more facts about famous castles. This website helped me so much with my project. Thank You!